Welcome to our website and thank you for taking an interest in our school. We hope the information is helpful and informative and that it gives you a flavour of life and learning at Sandhurst. We are a caring, inclusive and well-ordered comprehensive 11-18 school in which the positive and purposeful climate for learning promotes a culture in which success and achievement are aspirations in which we take pride. Our aim is to provide all students with the opportunity to succeed and this means that as well as a strong emphasis on achievement we work hard to encourage and develop the skills and qualities to help our students be active, accomplished, knowledgeable, caring and self-sufficient citizens in tomorrow’s ever-changing world. We do this through a highly regarded pastoral care system in which tutors and Heads of House work exceptionally hard to nurture and value every student and also in providing an innovative and personalised curriculum as well as a wealth of additional opportunities delivered by a strong team of dedicated, well-qualified nurturing and caring staff. A significant strength of the school is the quality of relationships throughout our school community. We will ensure this continues to develop and flourish whilst striving always for academic excellence. We are very proud of our students and our school and warmly invite you to visit us. Please contact reception to arrange a visit. Staff and students will show you round and tell you more about our school. We are a comprehensive school where every child matters. We endeavour to support all our students to be the best that they can be and we strive to ensure that strong relationships underpin our daily practice. There is a strong emphasis on care as well as both giving responsibility to and expecting responsibility from everyone in our school. their best; a sense of belonging is encouraged, responsibility is shared and everyone is valued. We are an inclusive school that wants to be at the heart of our local community and we work hard to embed a feeling of pride in our school and also to help build a sense of pride in individual students. We praise, reward and value academic success, and day to day in lessons, our main focus is to ensure all students have the opportunity to succeed. We also believe that education is so much more than exam passes and offer our students the opportunity to join in extra-curricular activities and visits that will help them experience life beyond the classroom. 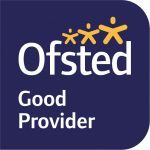 Ofsted recognised our provision for spiritual, moral, social and cultural development as a school strength.